Here are iOS 11.2.2 release notes, changes, changelog and security content details you need to know about. As you may already know by now, Apple has today released iOS 11.2.2 for iPhone, iPad and iPod touch devices. The release comes in the wake of Meltdown and Spectre CPU exploits, and instantly continues the progress of the iOS 11 firmware. 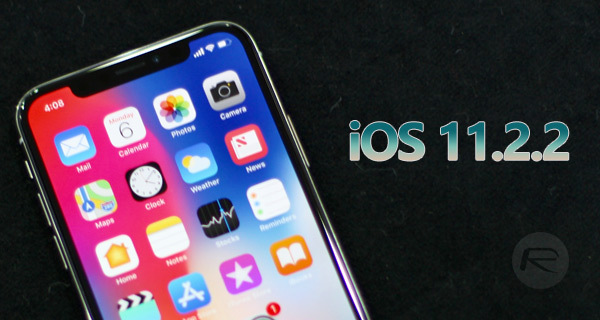 Apple had a frantic period of time pulling together and releasing iOS 11.2 and iOS 11.2.1, which were released ahead of schedule due to the nature of the patches and vulnerability fixes contained within. Many in the testing community would have expected the company to consolidate and release iOS 11.2.2 as the next release but were somewhat blindsided by the fact that they jumped straight to iOS 11.2.5 betas. But with today’s iOS 11.2.2 update being rolled out ahead of iOS 11.2.5 (which is still in beta), we now know why the company kept 11.2.2, 2.3, 2.4 – for emergency fixes like this one! As part of that release to the general public, Apple has bundled in release notes which each device owner can take into consideration before opting to download and install iOS 11.2.2 onto their compatible iPhone, iPad, or iPod touch. However, unlike the release of iOS 11.2, the release notes don’t make wondrous reading and certainly aren’t packed with new and interesting functionality. Thankfully, Apple’s security content page highlights what exactly “security update” in changelog means, with it detailing that this release patches Spectre CPU vulnerability. So, the real crux of this is that iOS 11.2.2 is very much a minor point update which exists to address a very important security issue. If iOS 11.2 was issued to bring new features and functionality, then iOS 11.2.2 is very much like iOS 11.2.1, which means it exists to provide security protection against the aforementioned vulnerability on compatible devices.